Sitting in the appellate jurisdiction of the Family Court of Australia, Murphy J heard the appeal in the matter of Matenson  FamCAFC 133. The appeal was made by a Father in a parenting case. The appeal was against the primary Judge’s dismissal of all interim applications in respect of parenting issues. 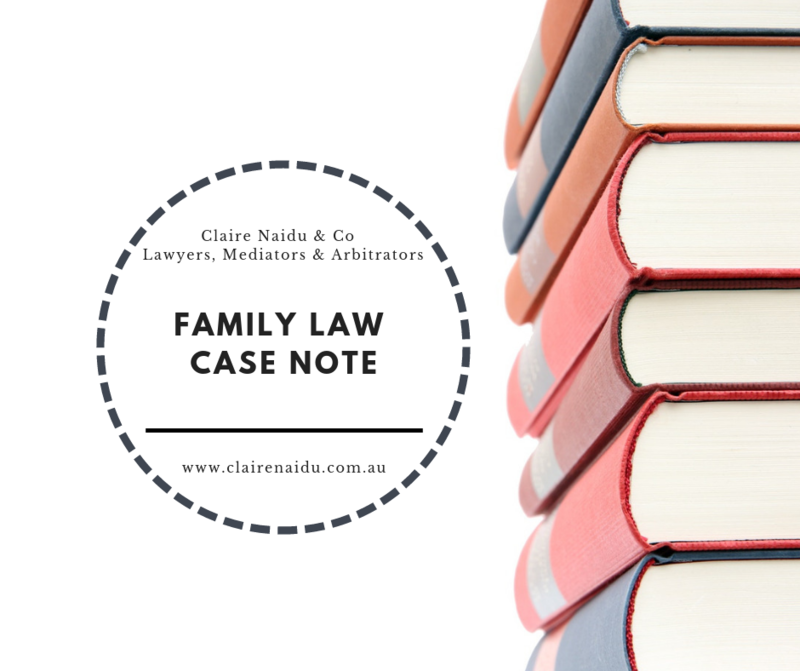 On 7 February 2018, a judge of the Federal Circuit Court of Australia, dismissed the application for interim parenting orders made by the father of three children then aged 16, 13 and 11 years. The order, in terms, dismissed “all interim applications”. A further order set the matter down for final hearing on 4 December 2018. The father appealed the order dismissing his interim application. At the hearing before the Federal Circuit Court, the father and mother were both unrepresented. The children were represented by an independent children’s lawyer. The father’s main concern was the lapse of time since he had seen his children despite an earlier consent order which granted time but which the mother was contravening. Despite all parties seeking an order for some time, the Court dismissed all interim applications and set the case down for trial 10 months away. At the ‘interim hearing’, an oral application was being made by the ICL and an oral application was being made by the mother for those same orders as the ICL with some minor changes additions to that of the ICL’s orders. …A reading of the transcript leaves little doubt that an oral application was being made by the ICL for those interim orders to be made and, implicitly at least, an oral application was being made by the mother for those same orders with the additions just referred to. With respect, her Honour did not at all engage with the issues presented to her for interim determination and provided no reasons for her decision. The appeal must succeed. The nature of the proceedings before her Honour brought with them inherent restrictions. Interim parenting proceedings pending a forthcoming trial are, and the parties should have expected, “an abridged process where the scope of the enquiry is “significantly curtailed”. The hearing before her Honour occupied 20 minutes. As should also be expected at a hearing of interim parenting proceedings, there was no cross-examination. A consequence is that the parties’ evidence – and, indeed, the evidence of the family report writer – remained untested. In an environment of too-scarce resources, a delay between interim hearing and trial is, sadly, almost always a given. However, that circumstance does not preclude the determination of interim issues, rather it provokes a determination of those issues. The proposals of the parties raised a central issue for determination: should the existing consent parenting orders should be changed (or perhaps replaced) in the period between the hearing and the trial? As has been seen, the parties and the ICL all contended that they should be. Each of those parties presented proposals for change. The Judge considered that despite the delay of the final hearing, or really, because such delay, the interim hearings issues are really provoked and should be determined. It seems clear that the ICL’s proposed orders were designed (in so far as orders could attempt to do so) to provide a (varied or new) means to facilitate the father seeing at least the younger children while at the same time meeting the (untested) assertions of risk and opposition by the children against an agreed background that time had not been occurring. … the Court cannot make findings of fact [and] should not be drawn into issues of fact or matters relating to the merits of the substantive case where findings are not possible. The Court also looks to the less contentious matters, such as the agreed facts and issues not in dispute and would have regard to the [existing] care arrangements … the current circumstances of the parties and their children, and the parties’ respective proposals for the future. However, in the Matenson case, Murphy J considered that the trial Judge did not identify the competing proposals of the parties or identify the issues necessary for her determination. There was no reference to matters considered uncontentious. The provisions of s 97(3) and Division 12A of the Act give judges hearing parenting cases significant freedom from the formality attending other forms of civil litigation and, indeed, proceedings under the Act for other relief. They do not, however, justify the abandonment of basic judicial process. …The provision of reasons for decision is central to the judicial function and the principles of transparent justice. There were no reasons provided in the case. And the transcript could be taken to be the reasons for decision in this case. The Court found that the appeal should be allowed, and the error was one of process, namely, failing to engage sufficiently with the issues presented for determination and the failure to provide reasons. While simple directions, consent orders and the like can of course be accommodated within lists of that size, I am unable to see how applications for interim relief – albeit “truncated” in their length and detail – properly can be. Increasingly, appeals from interim parenting proceedings reflect the inordinate pressure which the judges making decisions of that type are under. The pressure for hardworking judges seeking sincerely to do the best they can in difficult circumstances is crushing. It is creating appeals that would otherwise not occur. Many of those appeals are based, validly, on assertions of procedural unfairness and assertions that issues raised by parties – including important issues – are not engaged with and reasons for decisions affecting children’s lives are not being given. There is a plain need for expedition in interim decision making and a plain need for sufficient human and other resources to meet that need. However, the need to maximise the number of cases heard and the speed at which they are heard should never take the place of proper process – even if, as insufficient resources dictate, that process is “significantly curtailed”, and even if, as might reasonably be expected, reasons for decision – particularly ex tempore reasons – lack the elegance or expansiveness that added time might afford them. Authority from all jurisdictions and, crucially, the High Court are all to like effect: adequate reasons are not necessarily lengthy reasons. Adequate reasons have regard to the particular circumstances of the proceedings and the nature and extent of the issues to be determined. Yet adequate reasons are a fundamental part of dispensing justice. He also made comments how the Judge could be assisted in interim hearing and busy duty lists. This is the subject of another family law blog post. Click here if you would like to read that post. If you wish to read the judgement in full, click here for the link. This article does not represent the views of the firm. It a case note based on a decision made by the Full Court of the Family Court in relation to a family Law Appeal.